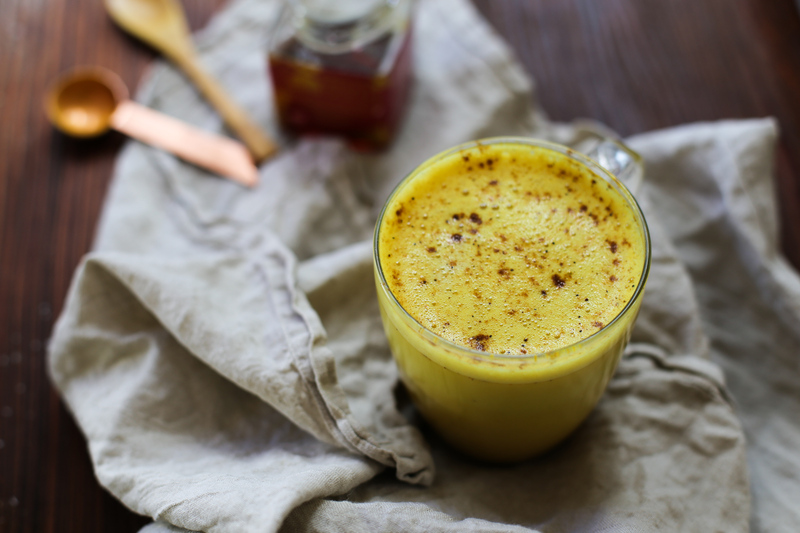 Everyone needs more turmeric in their life >>> It contains amazing compounds, which the most beneficial is called curcumin. Curcumin has proven to be strongly anti inflammatory, and since inflammation is linked to many chronic diseases that means we should be including this compound in our diet. Additionally it is also an antioxidant, so not only can it neutralise free radicals it can also boost the body’s own antioxidant enzymes. Don’t forget to add that pinch of black pepper as it contains piperine which helps to enhance the absorption of cur cumin by 2000% ! I love sipping on golden goodness whilst enjoying some banana bread or granola at breakfast, or a banana/mango in the afternoon. 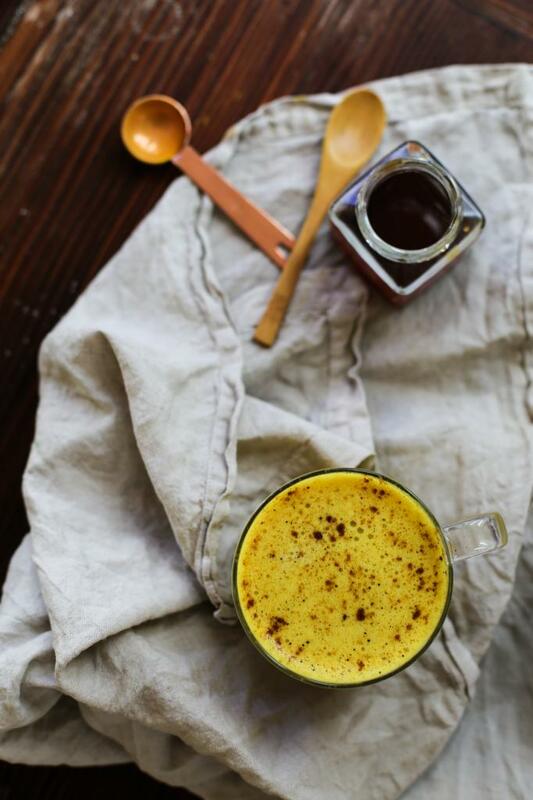 Mix together the turmeric, ginger, cinnamon, pepper and vanilla into your favourite mug. Add the milk and stir in the honey. If you aren’t accustomed the taste of turmeric start of with 1/2 tsp of turmeric and work your way up.